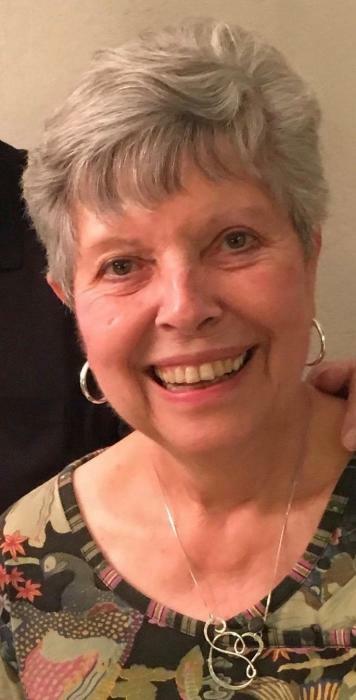 In loving memory of Linda Marie Flohr, wife of John Flohr, who passed away on March 19, 2019. Linda was born on September 17, 1940 as the beloved only child of Stella and Harry Gillie. Her first home was on the family farm in Lover, Pennsylvania. Before starting school, her family moved to Charleroi, Pennsylvania near Pittsburgh, which is where she spent most of her early years. She had fond memories of her childhood surrounded by many close relatives. She participated in a harmonica band, played clarinet in marching band, and took family trips to Conneaut Lake. Linda graduated from Charleroi High School in 1958. She later attended Westminster College in New Wilmington, Pennsylvania where she earned a bachelor’s degree in education. She enjoyed her time at the picturesque college in the middle of Amish country with many friends she made in her Alpha Gamma Delta sorority. She later earned a master’s degree in education from the University of Pittsburgh. She taught the third grade in the Edgewood School District for several years, which is now a part of the Woodland Hills School District. In 1963, Linda and John were married at the Presbyterian church in Charleroi she attended as a child. By the time of her passing, they had been married for 55 years. Linda and John moved to York, Pennsylvania, which is where their daughter Laura was born. At that time, Linda focused her attention on being a mom. Two years after Laura’s birth, the family moved to Mequon, Wisconsin, a suburb of Milwaukee. They lived there for 18 years, and that is where Laura grew up. Linda was the best mom anyone could hope for. Many of Laura’s friends have fond memories of her because she was involved in school activities and their daily lives growing up. She was the mom many kids could count on. After John’s retirement, Linda and John moved to Portland, Oregon. They settled into a neighborhood community called Claremont. She enjoyed many social events in the neighborhood from wine tasting parties, to holiday gatherings, to her exercise classes. Many neighbors became good friends, and she will be dearly missed. Linda also traveled extensively, especially in recent years. She particularly enjoyed vacations to Palm Desert, Newport Beach, and Hawaii. Just last November she spent two weeks in Palm Desert, enjoying the sunshine and the spa. Linda and John also loved to spend time on the Oregon Coast. Linda is survived by her husband John, her daughter Laura, and her son-in-law Rob. In lieu of services, her life will be celebrated in Kauai, Hawaii among her close family.